The United Nations General Assembly proclaimed 24 January as International Day of Education, acknowledging the importance of education in achieving sustainable development. Audrey Azoulay, Director General spoke of this day as an occasion to reaffirm fundamental principles. This day could not come soon enough. While more children than ever are going to school, there are still tens of millions not going, or in danger of stopping because they have no access to electricity. Their right to education should not be put on pause when the sun goes down. So how much progress have we made so far with education in Africa? 1. Primary education is still not universal. Africa has the highest rate of educational exclusion in the world. Of all regions, sub-Saharan Africa has the lowest rate of children enrolled in school. Over one-fifth of children between the ages of 6 and 11, and one-third between the ages of 12 and 14 are out of school. Many students who need to support their families after school do not have a chance to study at night if they do not have access to light. Failing classes and dropping out of school is common. 2. More girls are not in school than boys. In West and Central Africa, if a girl has not entered school by the age of 10, it is unlikely she ever will. Young women make up two-thirds of the global illiterate population, and about 27 million live in sub-Saharan Africa. Parents often see marriage as an alternative for their daughters’ future if she is not doing well at school. 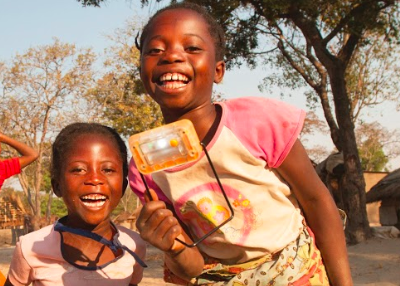 With a solar light, girls have more time to study and do well in school. If every girl in sub-Saharan Africa completed their primary education, maternal mortality could fall by 70 percent. 3. Literacy rates are improving. On 22 January 2019, something arrived which immediately changed the lives of students at Nyakantaingi Primary School in Rufunsa, Zambia. 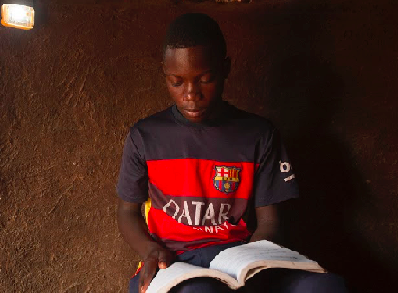 In a village where many cannot afford candles, a Light Library was launched by SolarAid. Much like checking a book out from a traditional library, students and their families will be able to take a solar light home for as little as one pence per day. 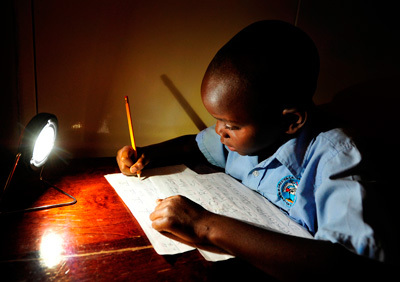 Everyone who wants a solar light will be able to borrow one and students will be able to study after dark. 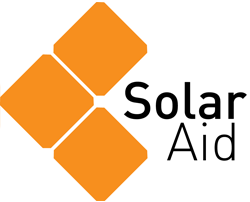 SolarAid will continue to bring Light Libraries to schools across Zambia and Malawi in areas where students and their families are unable to afford light, until no one is left in the dark.